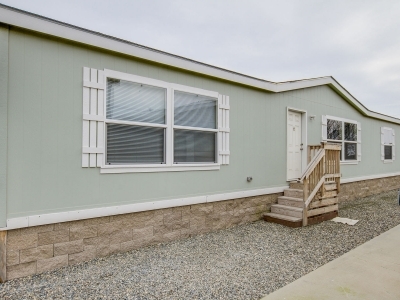 The Sunset Bay Plus manufactured home design provides balanced living space at an affordable price for families and loved ones. 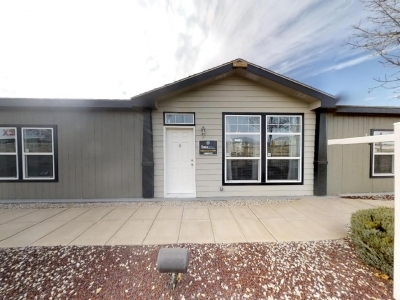 Enjoying a total living area of 1,550 square feet, this three-bedroom, two-bathroom home provides ample community space while delivering spacious private rooms as well. 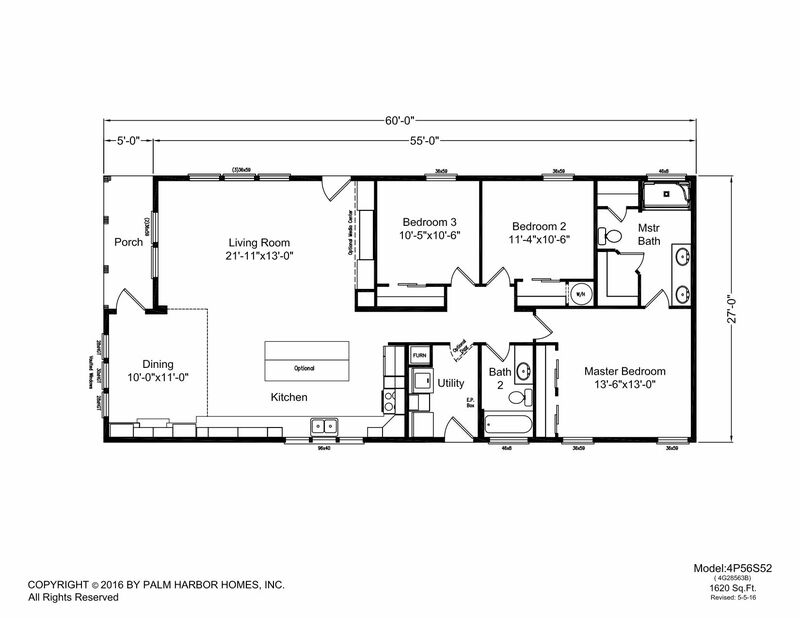 While some designs place greater emphasis on family space or privacy, the Sunset Bay Plus offers bedrooms exceeding 100 and 110 square feet with a master bedroom of more than 175 square feet, making it perfect for a family of four. The spacious bedrooms are balanced by an open floor plan that combines the living room, kitchen and dining area. The kitchen enjoys ample counter space, window views and a convenient breakfast counter that comfortably seats four. The adjacent formal dining space and living room are highlighted with large windows and the overall central living space benefits from natural and recessed light. The living room runs 21 feet across, which mirrors the pair of guest bedrooms. 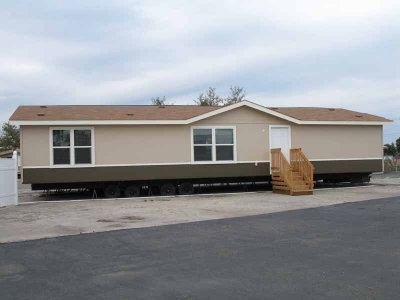 The manufactured home also offers a spacious master bathroom that includes a double-sink counter and walk-in shower, utility room and covered porch. The Sunset Bay Plus emphasizes balanced living space for a balanced lifestyle.